The Gone-Away gods were real, once, and taller than towers. But they’re long dead now, buried in the catacombs beneath the city of Eth, where their calcified organs radiate an eldritch power that calls out to anyone hardy enough to live in this cutthroat, war-torn land. Some survivors are human, while others are close enough, but all are struggling to carve out their lives in a world both unforgiving and wondrous. 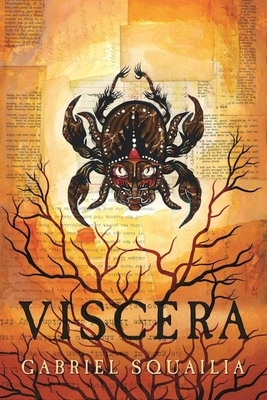 Darkly comic and viciously original, Viscera is an unforgettable journey through swords-and-sorcery fantasy where strangeness gleams from every nook and cranny. Gabby Squailia, writing as Gabriel Squailia, is an author and professional DJ from Rochester, New York. An alum of the Friends World Program, she studied storytelling and literature in India, Europe, and the Middle East before settling in the Berkshires of western Massachusetts with her partner and daughter. Squailia's first novel, Dead Boys, was published by Talos Press in 2015; Viscera followed in 2016.